Sundays In Bed With…A Rock Star!!! In the beginning he comes across as a typical rocker, but believe me when I say that he’s most definitely a complex, multi-layered character that you are going to fall in love with. I’m 25 % in and loving it!!! 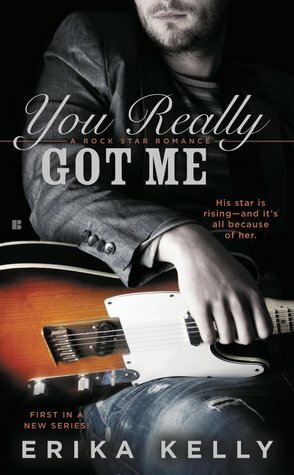 You Really Got Me releases this coming Tuesday! Who’s in your bed this Sunday? This entry was posted in Adult Romance, Books, Erika Kelly, Rock Star, Romance, Sundays In Bed With..., Upcoming Release and tagged Adult Romance, Books, Erika Kelly, Rock Star, Romance, Sundays In Bed With…, Upcoming Release. Eeeep! Can’t wait til you read it and we can swoon together!